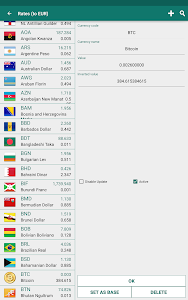 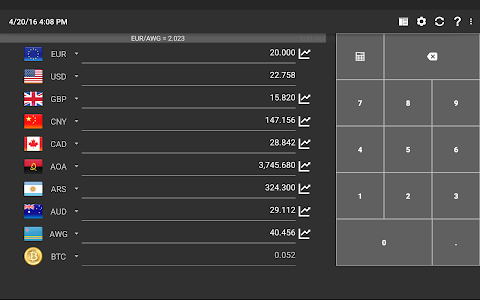 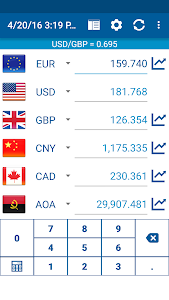 Currency exchange rate calculator and exchange rates list for android. 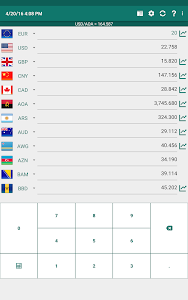 Download “Currency Converter” and get world's foreign currencies conversion rates. 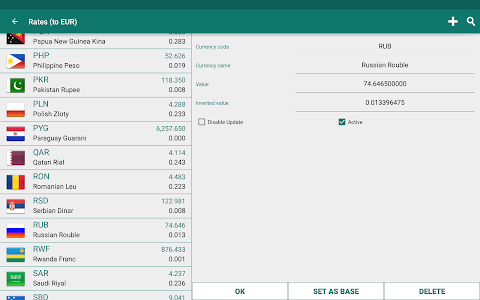 Easy to use for conversion of 15 foreign currencies at once. 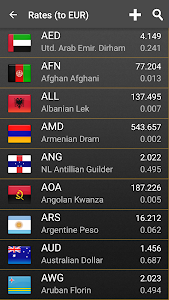 “Currency Converter” has an exchange rates lists, and graphs with historic data. 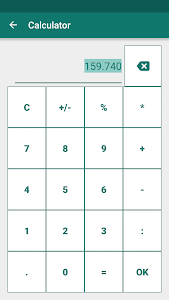 ★ Instant conversion just by typing the numbers. 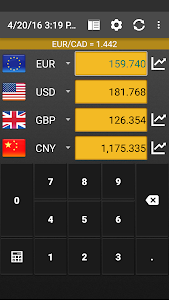 ★ Calculator for currencies for math. 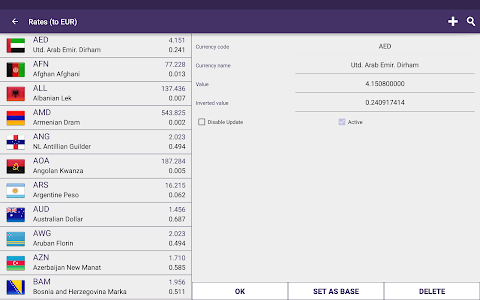 Result is instantly converted to all currencies. 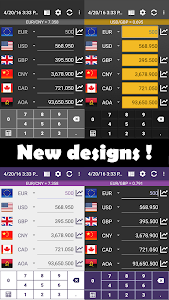 ★ Add new currency code and run the update. 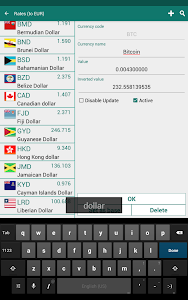 App will download fresh exchange rate. 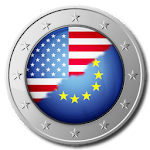 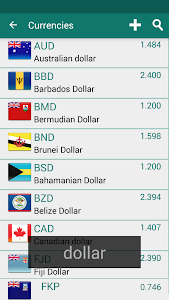 ★ Currency converter app runs on phones and tablets. 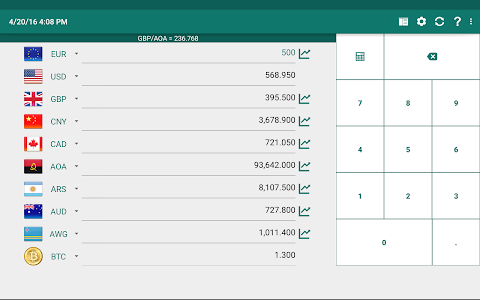 ★ Works in offline mode.